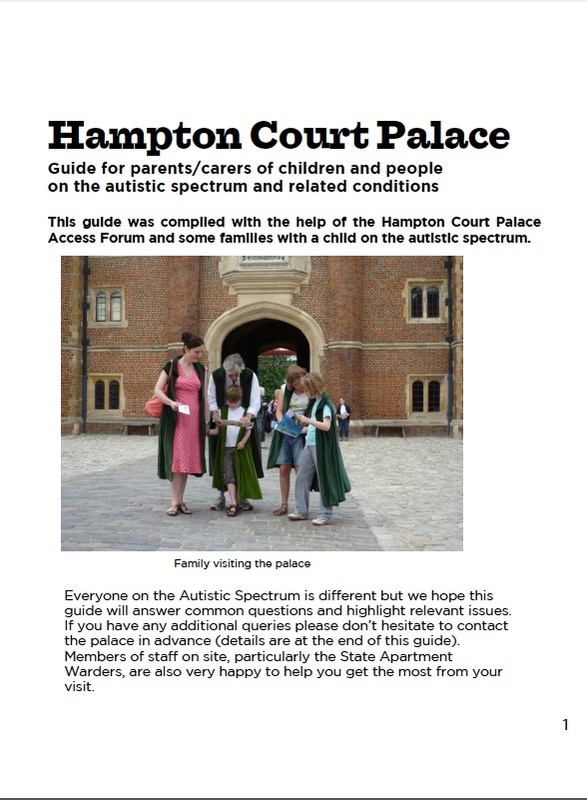 This guide was compiled with the help of the Hampton Court Palace Access Forum and some families with a child on the autistic spectrum. Recognising that everyone on the Autistic Spectrum is different, this guide aims to answer common questions and highlight relevant issues to help plan a visit and ensure a great visitor experience. Download the document in PDF format from the right hand column.